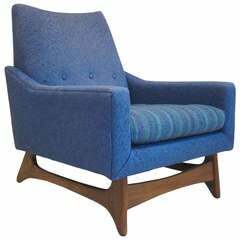 A library lounge chair by Edward Wormley "Dunbar for Modern" no. 4796 chair. 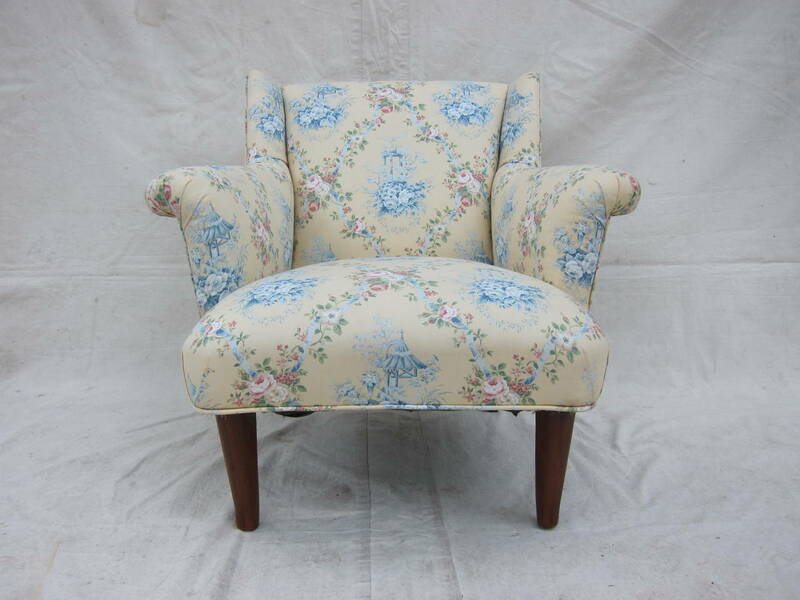 This chair is in very good condition, new upholstery needed. 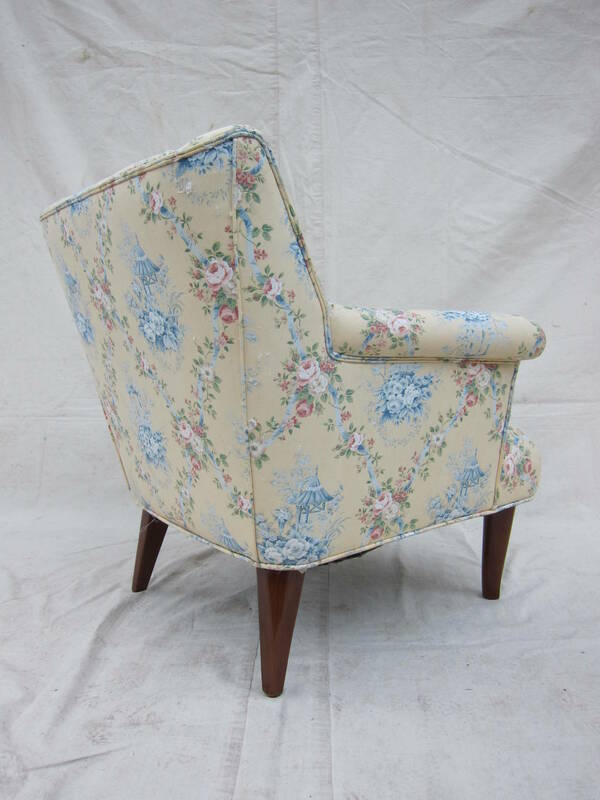 The chair only needs new covering, the cushioning and frame are in excellent condition. 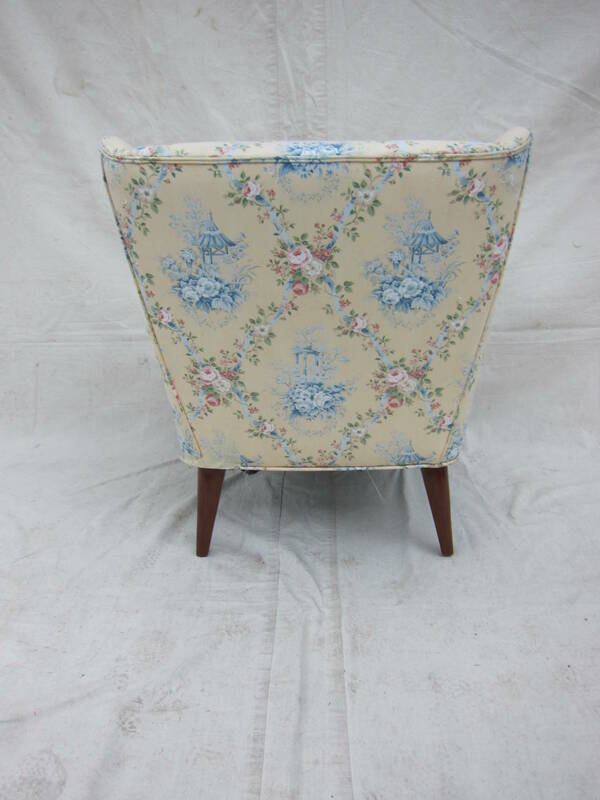 Legs have been reconditioned all that is needed is your upholstery. 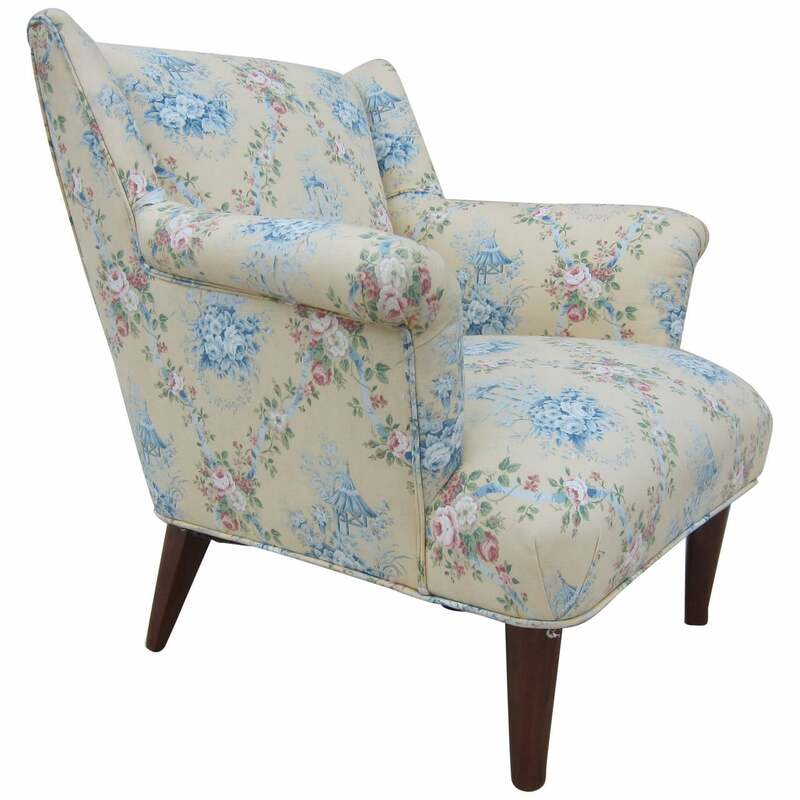 Make it your perfect reading or sitting chair. Extremely comfortable. Early model 1940-1950 production. Provenance includes original bill of sale from Dunbar Furniture Manufacturing Co. Berne, Indiana dated 10/23/1950. See catalog tear sheet. Adrian Pearsall midcentury lounge chair all original. New upholstery recommended. 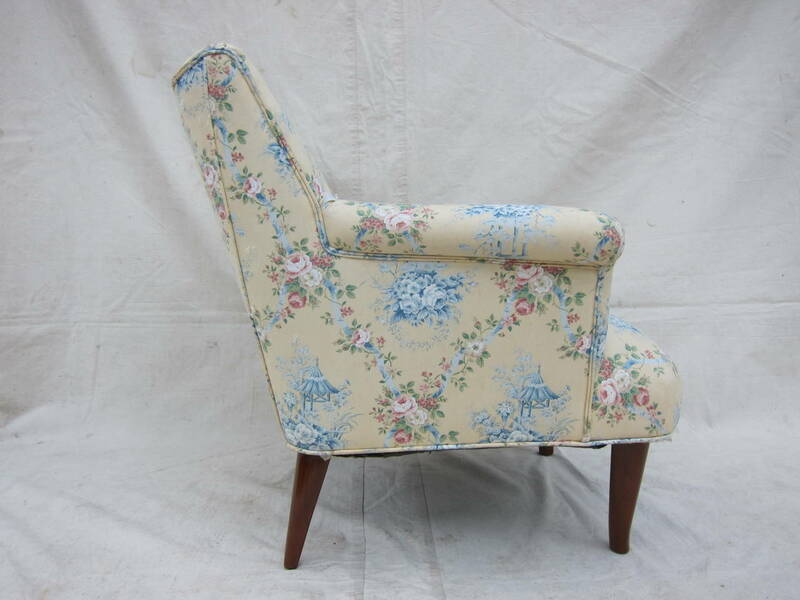 (Upholstery is faded and shows signs of age). 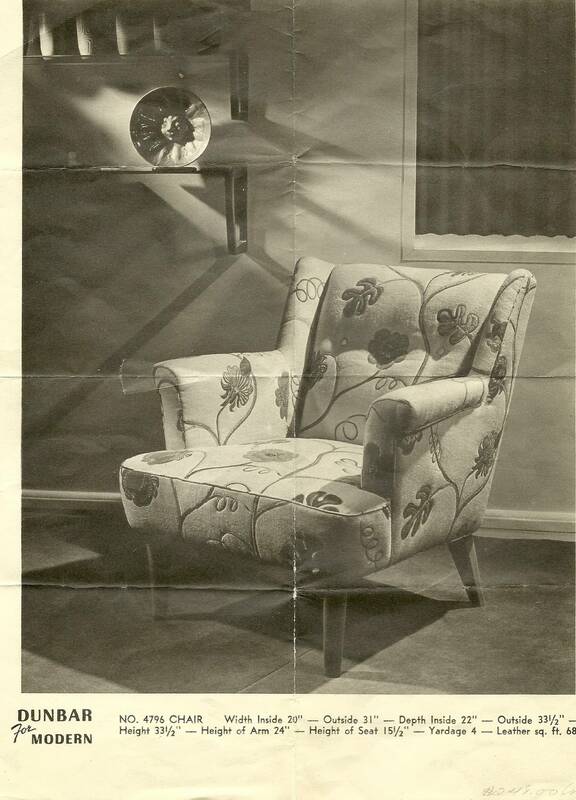 An uncommon pivot-back lounge chair in lacquered mahogany with vintage velvet geometric upholstery. 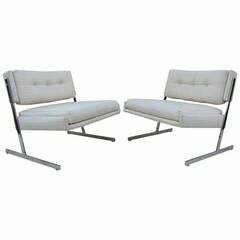 Designed in 1948 by Edward Wormley.